Having been raised here in Boise, Robyn’s knowledge of the Treasure Valley is extremely valuable to you as a Buyer or Seller. Robyn provides her clients with honesty, professionalism and Service as thorough as possible! She works as both a Buyer’s Agent and Selling Agent. The high-tech tools she has adds an additional level in helping you with your Real Estate needs. If you are looking for a Realtor that is dedicated in listening to YOUR needs and YOUR wants, Robyn is the one for you. Her main goal is to make YOU happy in finding the home for YOU or selling YOUR home for top dollar. That is her passion of Real Estate and why she LOVES what she does. In September of 2006 she received her ABR designation. ABR stands for “Accredited Buyer Representative”. To receive and ABR designation, A Realtor has to complete 3 days of education and meet certain sales requirements. 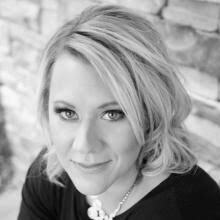 What ABR means to you is that Robyn has additional knowledge in representing buyers in real estate transactions. If you are looking to purchase, Robyn can represent you better because of her specific training. She have the upper edge on negotiating on your behalf along with giving you more information on the purchasing experience including inspections, property disclosures and looking out for YOUR best interest at all times. For ANY real estate questions, give Robyn a call today.